Akshay Kumar’s Gold is winning hearts through the country and outside too. It has crossed about Rs 100 crores in the domestic box office and is set to now rule the overseas too! Akshay Kumar’s Gold is the first Bollywood flick to have a release in Saudi Arabia and the actor shared a tweet with regard to this. He wrote, “The story of India’s first Gold medal victory for the first time in the Kingdom of Saudi Arabia. Happy to share, #Gold is the first ever Bollywood movie to release in the Kingdom Of Saudi Arabia, in cinemas from today! @excelmovies @ZeeStudiosInt.” Now, it is a great achievement not just for Akshay but for the entire industry. Isn’t it? 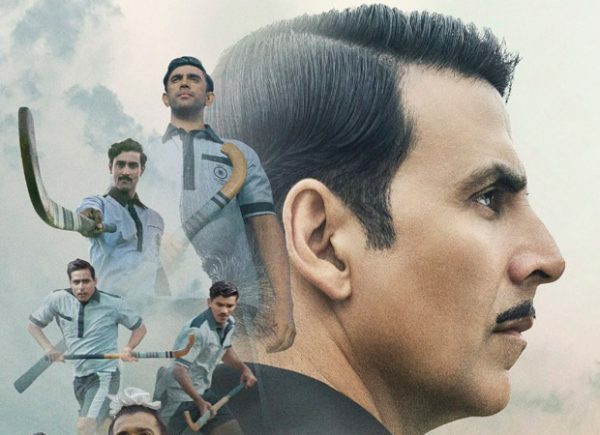 Akshay Kumar plays a sports fanatic in Gold who is instrumental in inspiring the Indian hockey team to procure a gold medal for the first time after independence. The movie also marks the film debut of Mouni Roy. The movie is directed by Reema Kagti and the producers of the flick are Farhan Akhtar and Ritesh Sidhwani under the banner of Excel Entertainment. Akshay is currently working on Karan Johar’s Kesari and he will also be seen in Good News with Kareena Kapoor Khan under the same banner of Dharma Productions. Akshay Kumar has spread his wings to the South industry as well and will be seen in 2.0 with Rajinikanth. He will play part human part crow in the movie and he will be seen in a never before seen avatar. The project is long overdue but will finally release on November 29.